"To bring our pet into shelter and not be separated meant everything to me and my kids. I could never have left her – ever"
As many as 48% of domestic violence victims stay in abusive situations because they fear what would happen if they left their pets behind. More than 75% of pet owners believe pets are part of the family and refuse to leave them behind when fleeing dangerous situations, including domestic violence. 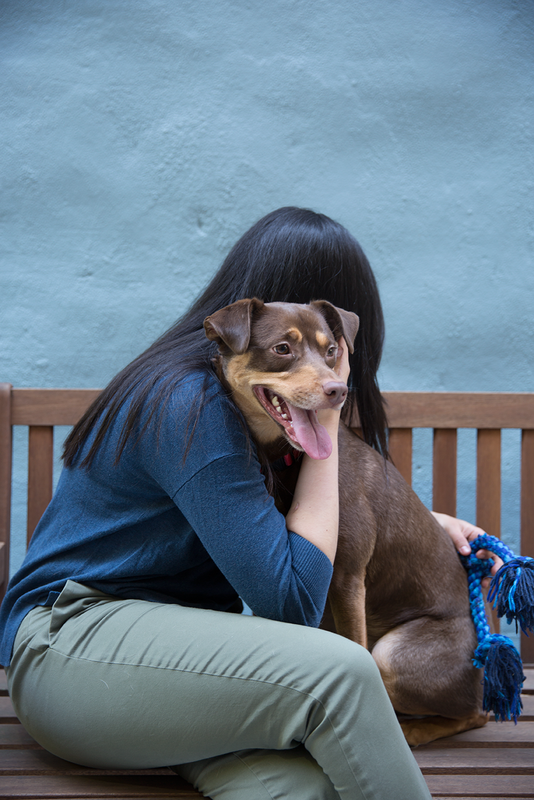 With only 3% domestic violence shelters in the U.S. providing co-living options for survivors and their pets, individuals are often forced to make the nearly impossible choice of abandoning their pets to enter shelter, or remaining in an unsafe environment and risking further abuse. Trauma doesn’t discriminate against species and pets experience domestic violence in similar ways to people. Pets are often used as leverage to further threaten, harm, or control victims. In some cases may intervene, leading them to become a direct target of an abuser. Escaping domestic violence along with your pet is not only for their protection. Studies show that the presence of pets is important for the well-being of people who are sick or under stress, and can promote healing. Other research suggests that pets can help reduce blood pressure and fatigue in people, and can increase the presence of feel-good hormones that create feelings of calm. PALS (People and Animals Living Safely) was established in 2013 to provide co-living options for families and their pets. It is the first program of its kind in New York City, and a pioneer in the nation. The goal of the PALS program is to bring joy and comfort to children, individuals, and families seeking refuge at URI shelters by keeping families and their pets together. URI currently offers 66 units of domestic violence shelter across five residences that allow families and pets to live and heal together in the same apartment. 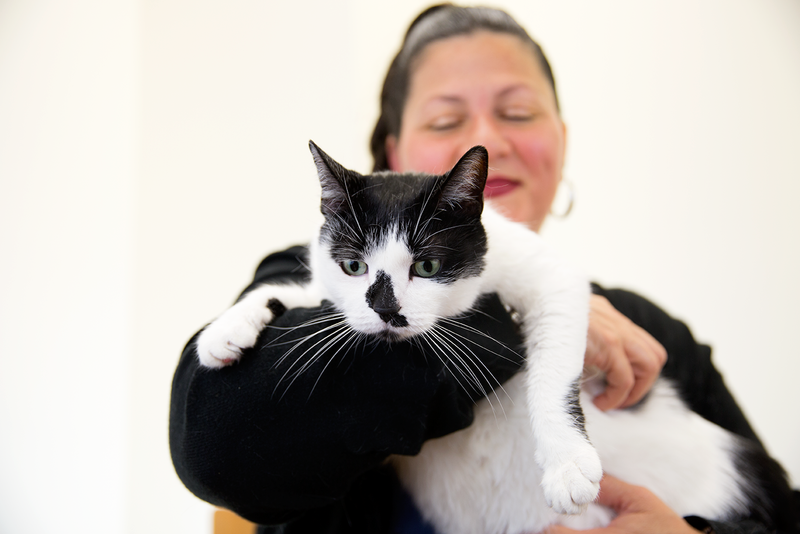 Not only does PALS provide a safe environment for both survivors and pets, but the program also taps into the therapeutic value of pets in improving human health and healing. 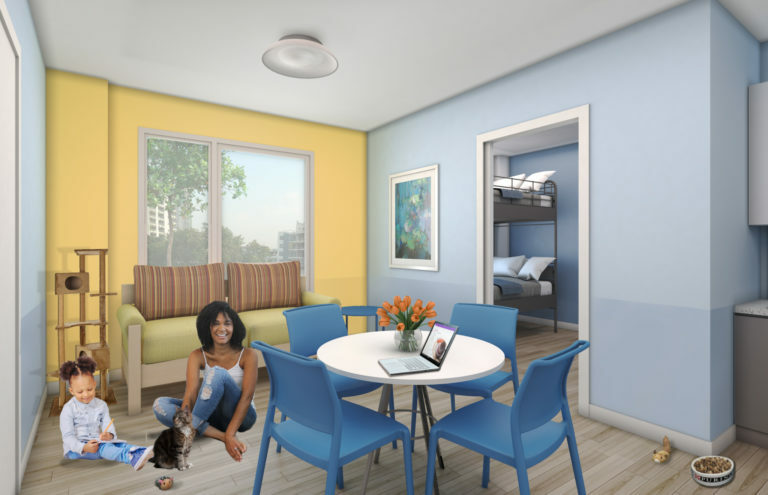 Opening Fall 2018, PALS Place is the first domestic violence shelter in the nation in which every apartment unit is made for co-living, sheltering pets alongside their families in the same apartment unit. PALs Place is uniquely designed to ensure that the facility environment is as welcoming, safe, and healthy as possible for families and their pets adjusting to life in the shelter. It is not only accommodating of people, but was actually conceived and designed with the welfare of pets in mind based on guidance provided by Purina animal behaviorists. 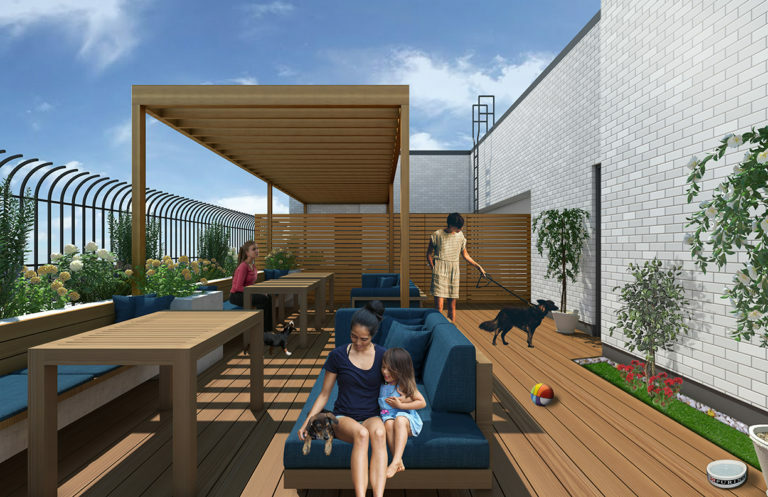 With PALS Place, the PALS program will have more than 90 co-living units across six residences. 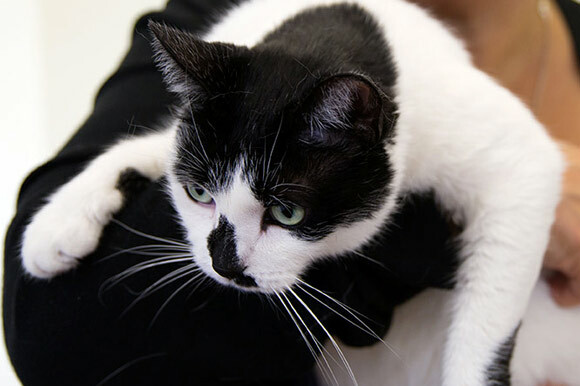 Pet-care plan: Identify in advance friends or family members who can help care for your pet(s). Animal ownership documents: Keep registration records, vet records, a microchip, and/or a current photo to prove ownership of your pets. Legal protection: Include pets on orders of protection. Give a copy of any legal documents to a trusted friend or family member. Safety supplies: Pack an emergency bag and keep it hidden, but easily accessible. Make sure to include food, supplies, and records for pets in the emergency bag.